In the last post you have seen how to change background image of the website using PHP. But what if you want to change the background color of a website?. Let's see how to do it using PHP and CSS. 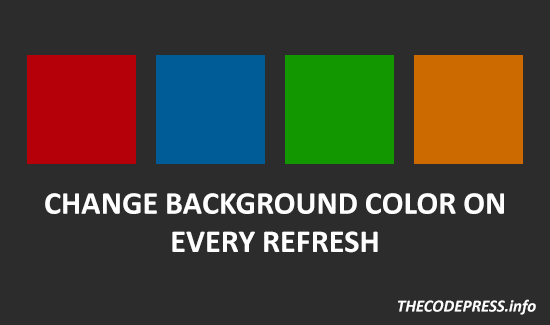 PHP CODE: PHP code to make background color change on every refresh. We are done with PHP and now we are going to embed PHP in HTML. CSS CODE: Here, in CSS code we'll be embed PHP code. Now stick it all together in HTML document and debug it. i can't even think about using php and css together...this is an awesome example of working with php and css together.